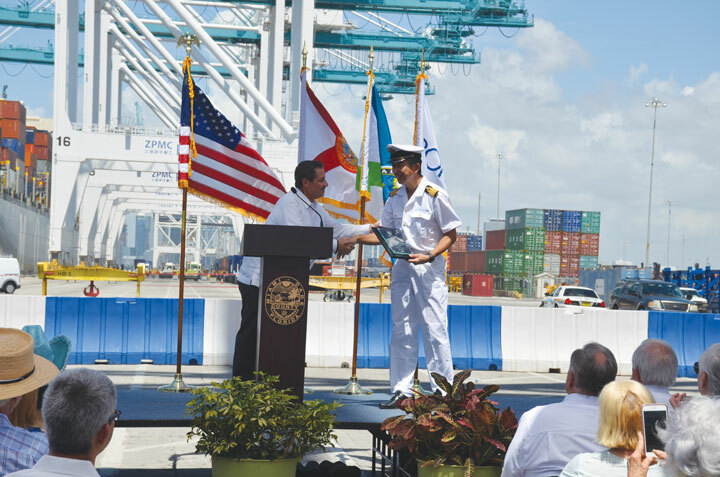 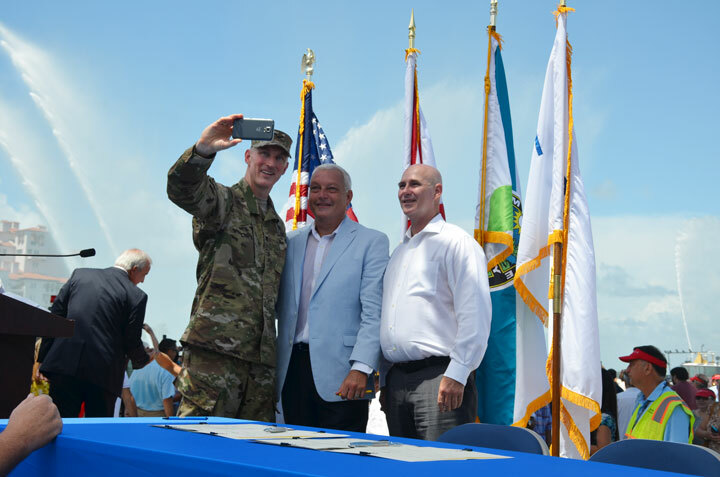 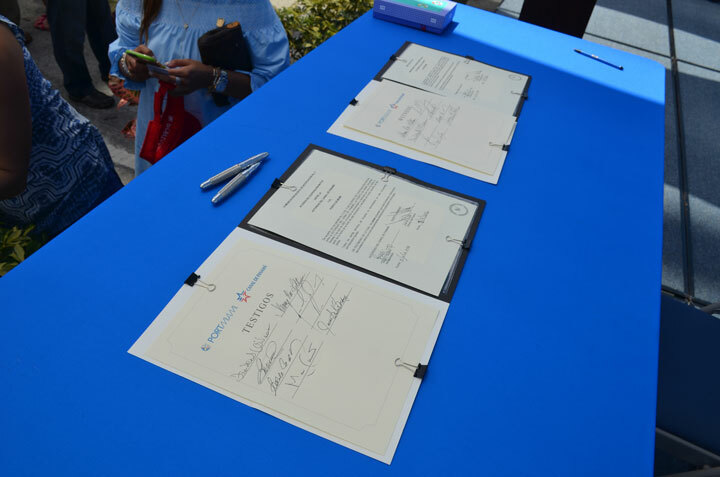 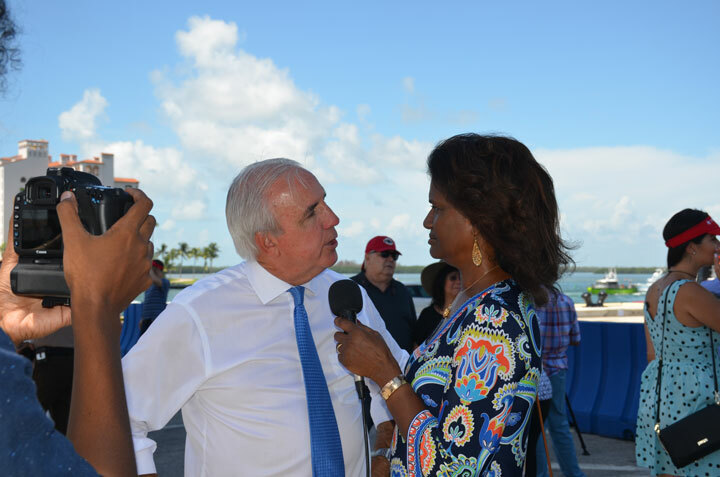 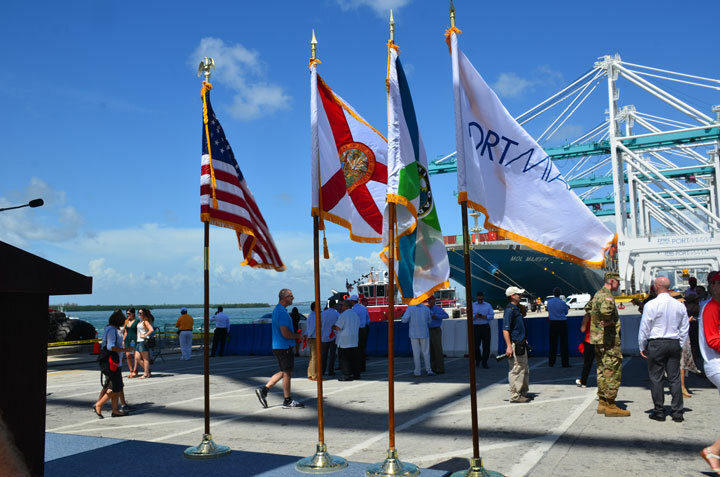 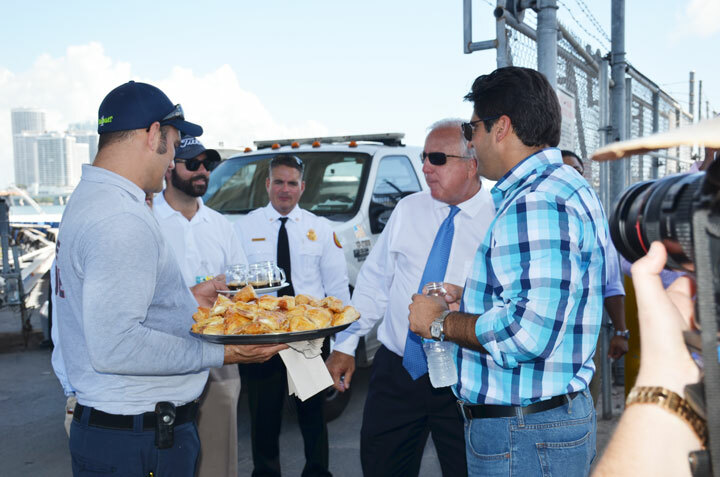 Hundreds of curious onlookers gathered with federal, state and local officials July 9 as PortMiami officially joined the Neo-Panamax era. 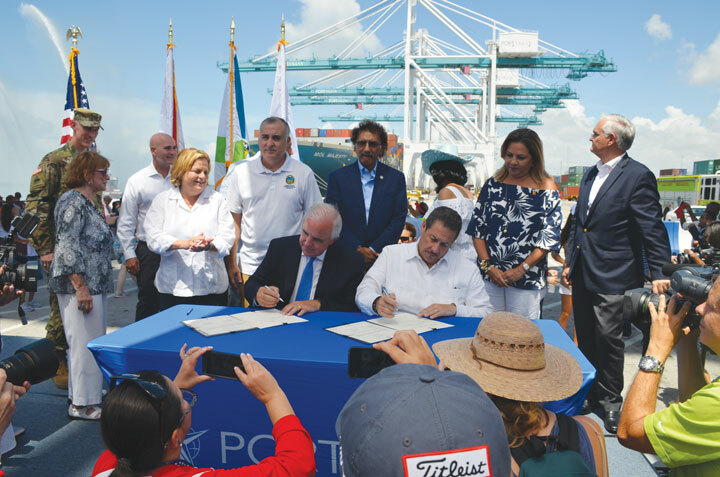 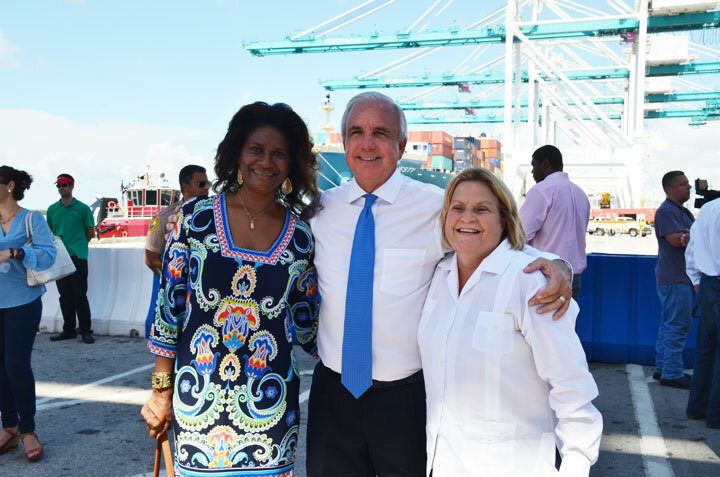 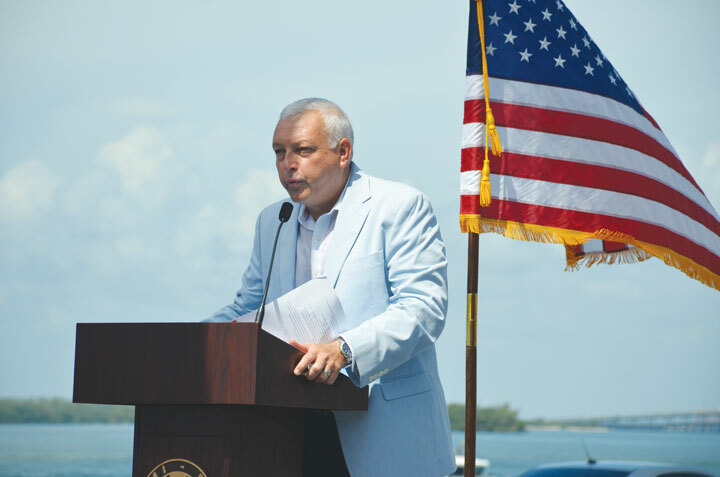 Under perfect skies – and with great anticipation – Miami-Dade County Mayor Carlos Gimenez officially welcomed the MOL Majesty as the first ship to arrive at the port after transiting the expanded Panama Canal bound for Miami. 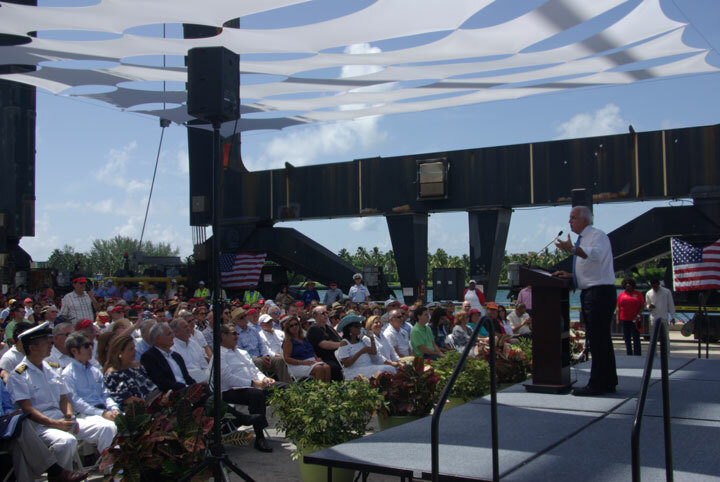 Also sharing words on this historic day were Panama Canal Authority Administrator Jorge Quijano, PortMiami Director and CEO Juan M. Kuryla, and Commissioner Jose “Pepe” Diaz. 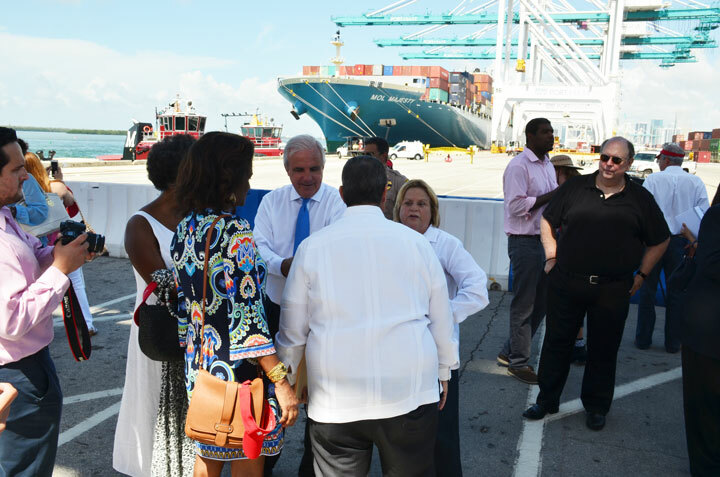 Other officials welcoming the MOL Majesty and its Captain Yutaka Uno included Congresswomen Ileana Ros-Lehtinen and Fredericka Wilson, Miami-Dade County Commissioner Estaban Bovo, Senator Gwen Margolis and Mayor of Medley Roberto Martell. 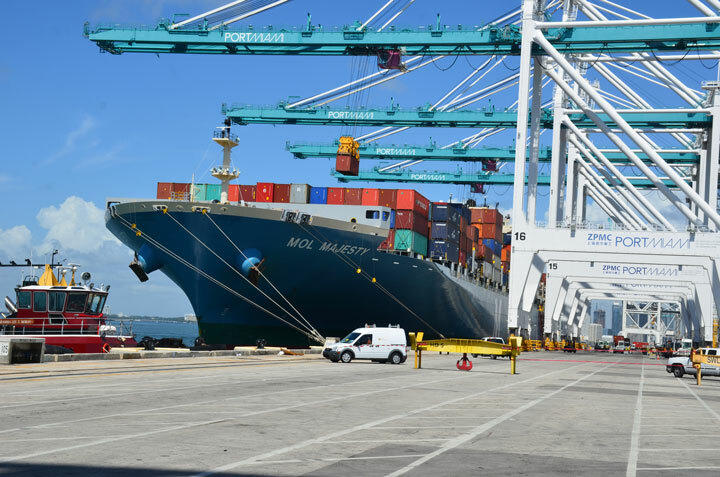 Over the years, PortMiami and partners such as Florida East Coast Railway (FEC) have been investing in the infrastructure necessary to support multi-modal shipping and global trade into and out of South Florida via the new-class neo-panamax vessels. 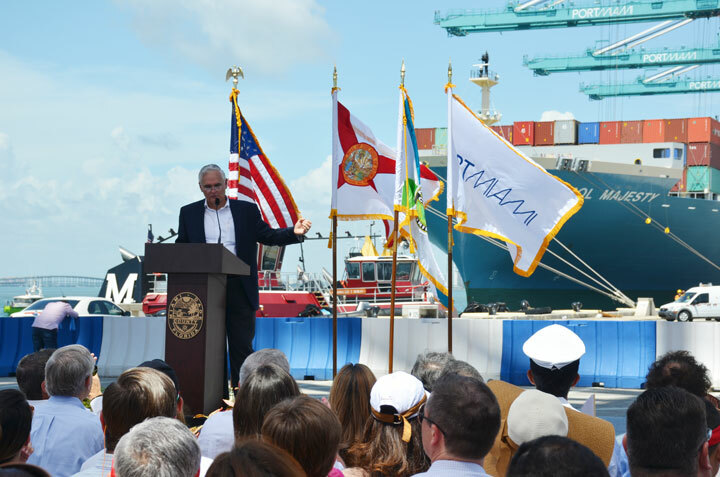 Ships designated “neo-panamax,” are designed to fit exactly in the newly constructed locks of the expanded Panama Canal and have a capacity in excess of 12,500 TEU (Twenty-foot Equivalent Units). 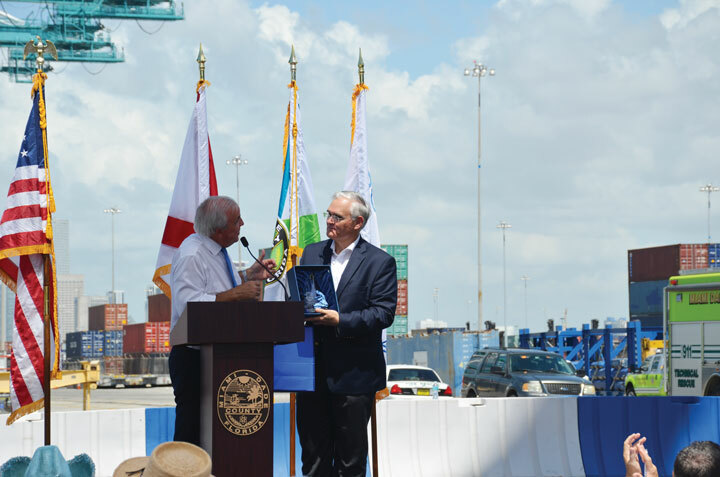 Milestone achievements such as the completion of PortMiami’s deep dredge, installation of the PortMiami Tunnel and FEC’s on-dock intermodal rail enhancements all contributed to positioning Miami as the most convenient and efficient global hub on the East Coast. 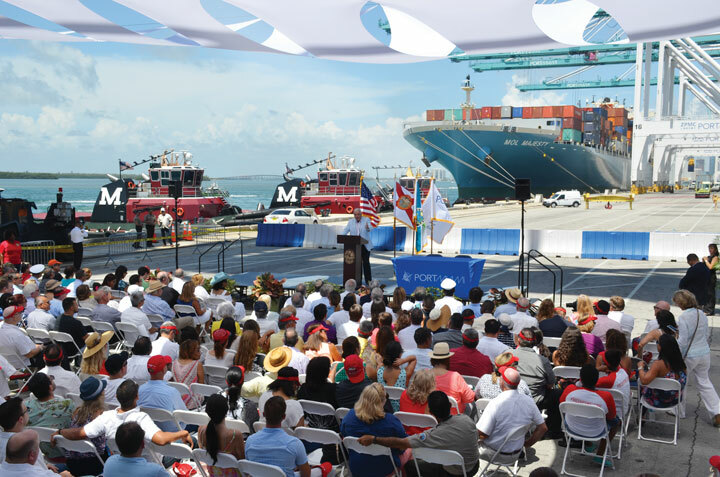 Experts expect an increase of 10 percent in shipments to be rerouted through the now expanded Panama Canal to eastern seaboard ports like PortMiami. 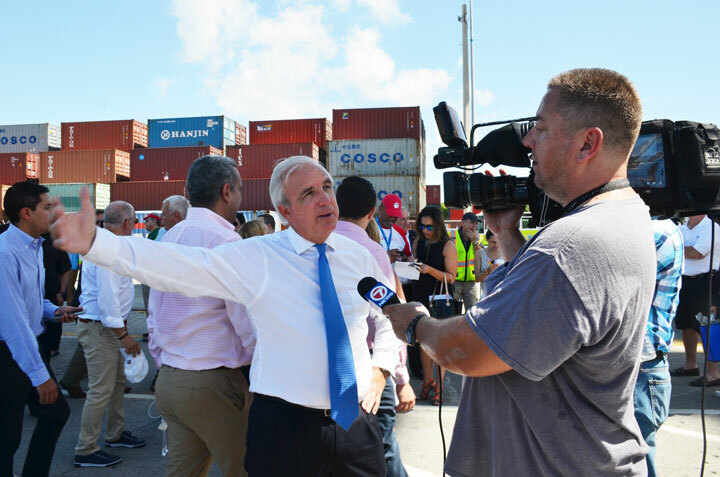 PortMiami Director Juan M. Kuryla addresses the attendees. 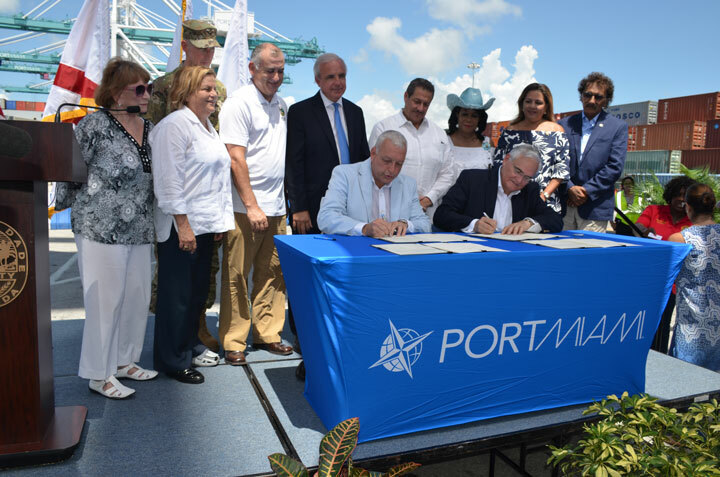 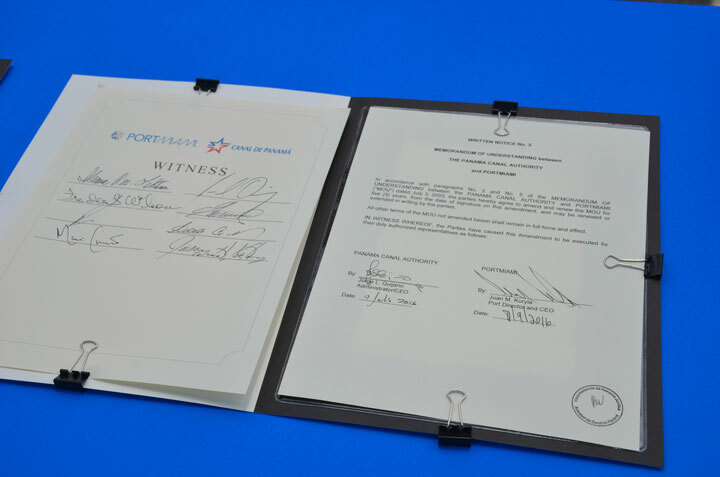 The program of speakers concluded with the official signing of the MOU (Memorandum of Understanding) between the Panama Canal Director and PortMiami. 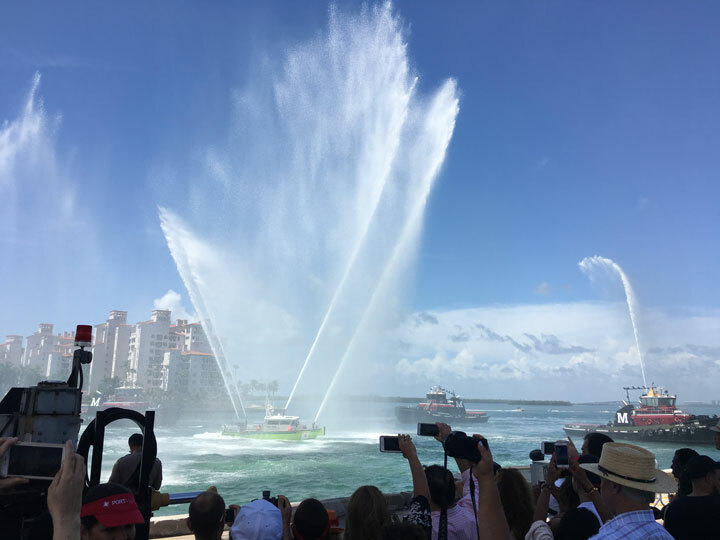 As the document was signed by the Mayor, PortMiami and the Canal and witnessed by the Federal and other elected officials present, the Miami-Dade County Fire boats let go with a water salute off the bow of the MOL Majesty. 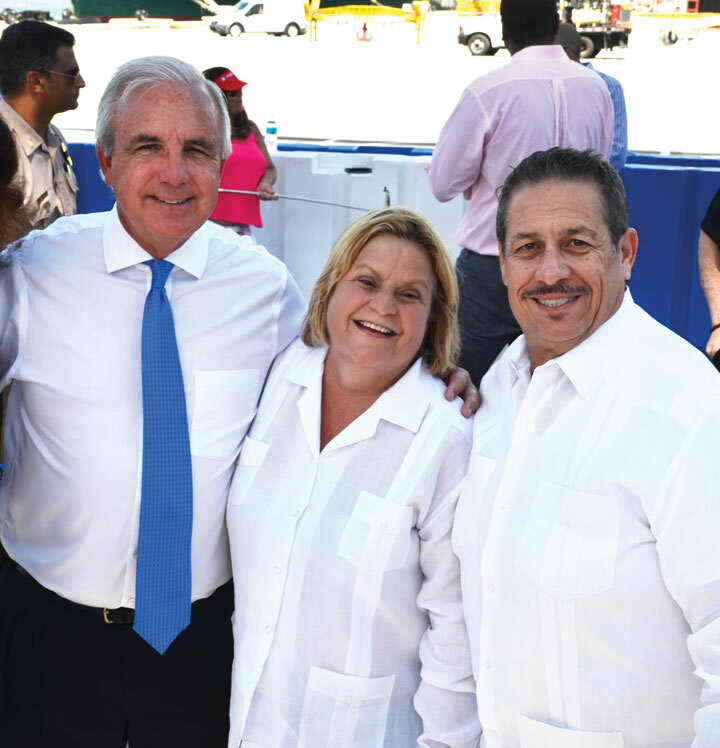 County Mayor Carlos Gimenez with Congresswoman Ileana Ros Lehtinen and County Commissioner Jose “Pepe” Diaz. 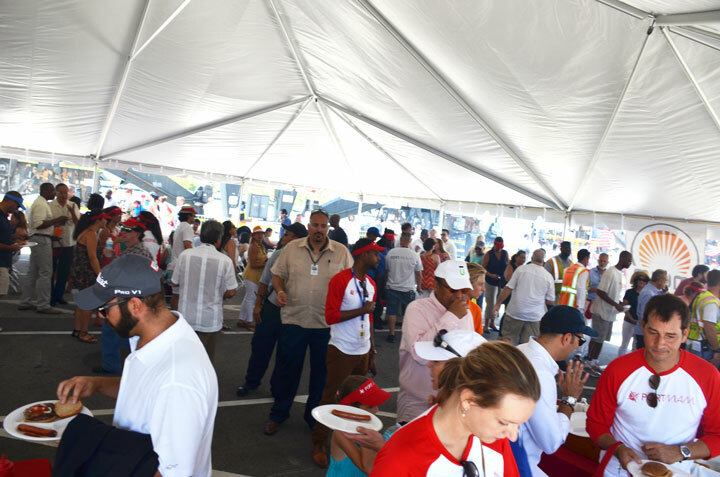 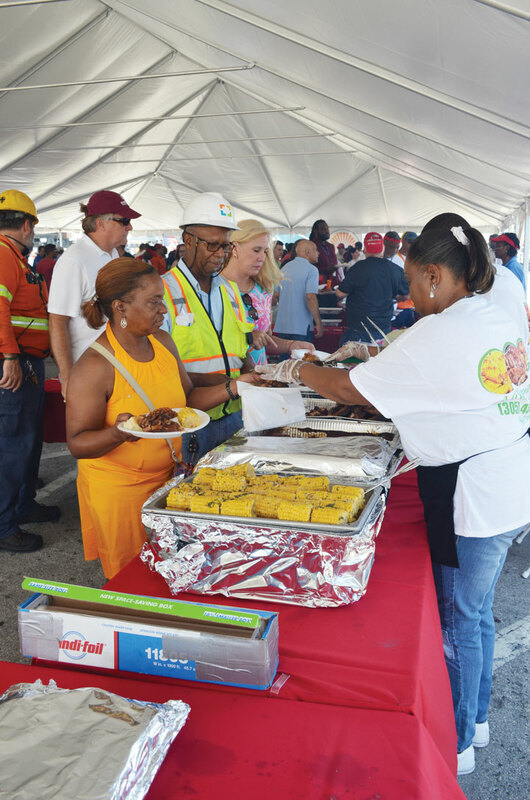 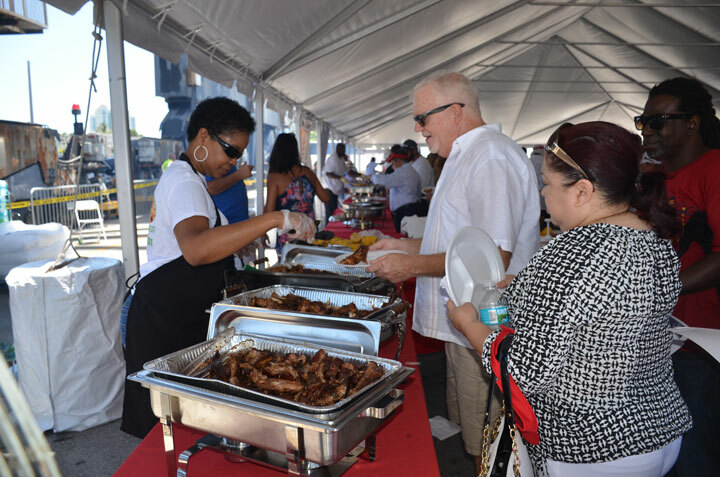 At the conclusion of the program and festivities, attendees enjoyed a luncheon served under large tents.